Just in time for the tail end of the U.S. Olympic women's boxing team trials comes a visit from boxer, trainer and boxing club owner Gail Grandchamp. She'll be at Auntie's Bookstore tomorrow, Sat, Feb. 19, to sign copies of her memoir Fighter With a Heart. The ladies currently fighting for a spot on the U.S. team essentially owe their careers to Grandchamp. After all, it was she who spent 8 years tangled in a court case, fighting for the right for women to box as amateurs in her home state of Massachusetts. This ruling then led to the U.S. Amateur Boxing Federation making amateur female boxing legal nationwide. By the time the court case was over, Grandchamp had surpassed the 36 year age limit set for amateur boxers. 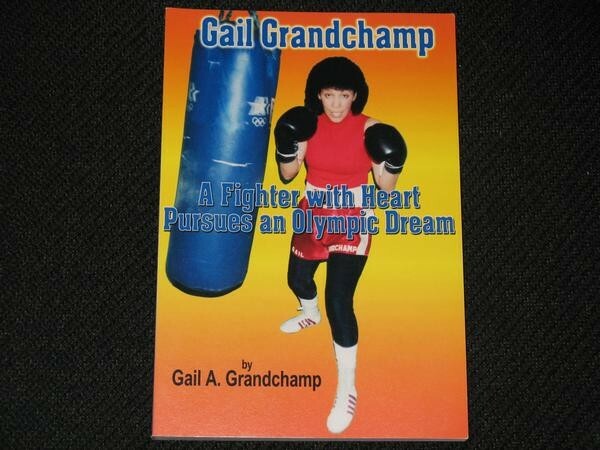 That didn't deter her dreams though; she went on to make a name for herself as a professional boxer, earning a 12-5 record before leaving the sport in 1997. Though she no longer fights professionally, she is never far from the ring, training young athletes in her Grandchamp Boxing Club and Fitness Center in Massachusetts. With all Grandchamp has accomplished, could she have a more appropriate last name? Gail Grandchamp will sign copies of her memoir Figher With a Heart Sat, Feb. 19 from 11 am to 1 pm at Auntie's Bookstore, located at 402 W. Main Ave. For more information, visit www.auntiesbooks.com or call 838-0206.